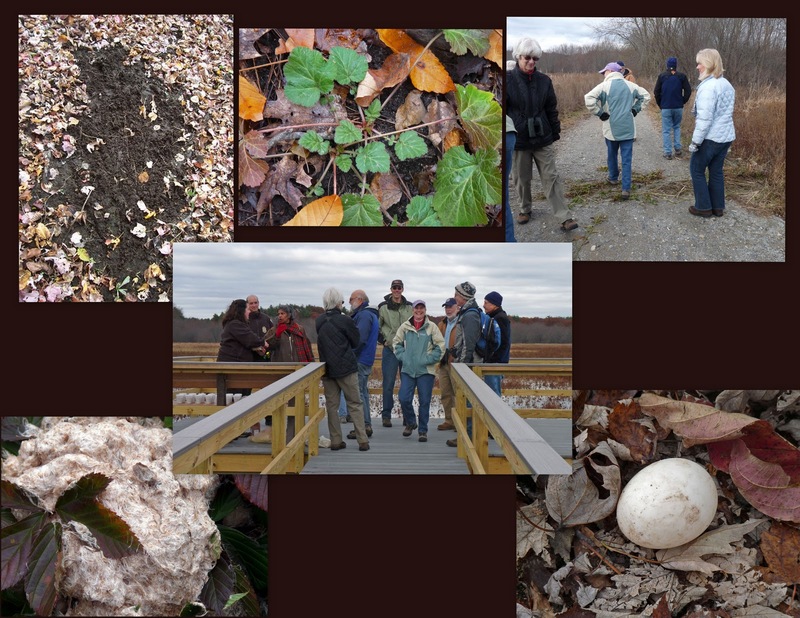 In October, our monthly walk explored the floodplain forest, wizened by the summer's long drought. 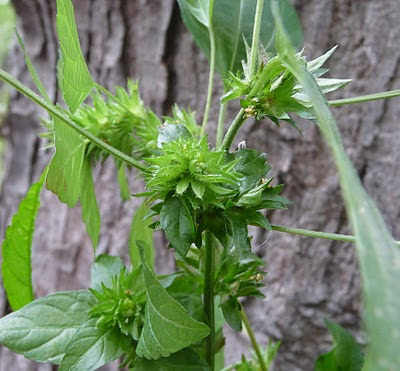 The identity of two vigorous and unfamiliar plants with lingering blooms puzzled us. Three-seeded mercury and climbing hempvine (Mikania scandens) found enough moisture by the river's edge to flourish. Numerous mushrooms, including the beauties shown above, grew from still moist and rotting logs. Leaf miners left their calligraphy on the forest understory. And the loofa-like fruits of wild cucumber vines fascinated everyone. November walkers encountered several mysteries, some of which have since been solved...a deer scrape, the still robust leaves of rough avens, an inexplicably large wad of cattail fluff resting in the shoreline shrubbery, muskrat strewings, and a Canada goose egg! Our walk ended in a celebratory gathering with refuge staff on the new observation deck.